International investors will join local power developers and gas companies operating in Tanzania from 29th-31st January 2014 to discuss the drivers that will facilitate industrial development and increased electrification across the country, encouraging productive and long-term dialogue between public, private, local and international energy partners. 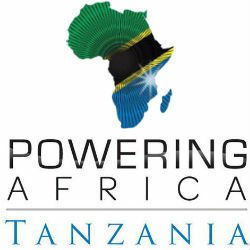 Supported by the Ministry of Energy and Minerals, the state-owned Tanzania Electric Supply Company Limited (TANESCO) and the regulator Energy and Water Utilities Regulatory Authority (EWURA), the Powering Africa: Tanzania summit will be held from 29th-31st January 2014 at Doubletree Hilton, Dar Es Salaam. A series of round table debates and scene setting presentations will focus on how best to promote long-term strategies for growth within the country’s power and infrastructure sectors. The meeting coincides with the launch of U.S President Barack Obama’s “Power Africa” initiative, which has announced Tanzania as one of six priority countries for investment. Experts predict that Tanzania would need to invest $2.9 billion annually for 10 years to meet its infrastructure targets, a view echoed by the International Monetary Fund. Symbion Power, Overseas Infrastructure Alliance, Norton Rose Fulbright, Cummins, Jacobsen Electro and DLA Piper will provide insights to support a more pragmatic investment approach and enable the public sector to understand the challenges being faced by foreign investors, helping to narrow the knowledge gap between both sides.